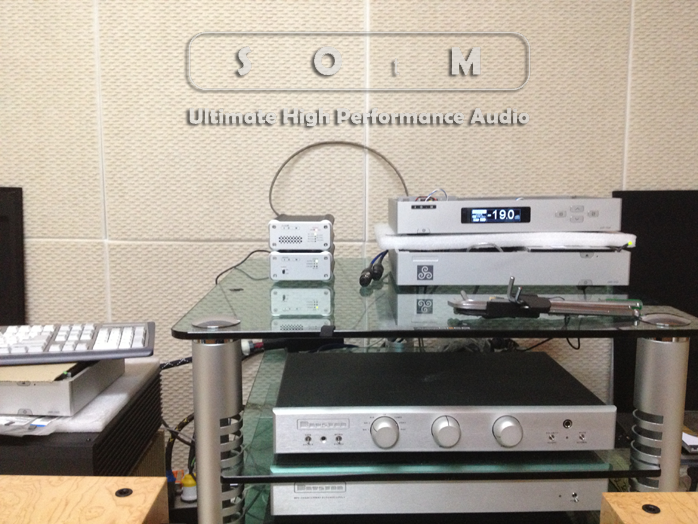 After my review of SOtM's top USB:S/PDIF converter which had led to my purchasing it, Korean reader SongKyung-han reported that he'd "just visited the SOtM headquarters in my hometown where I met chief engineer Mr. Lee Il-won. It turns out that he's a friend of my father's close friend in the local audiophile community. Small world. 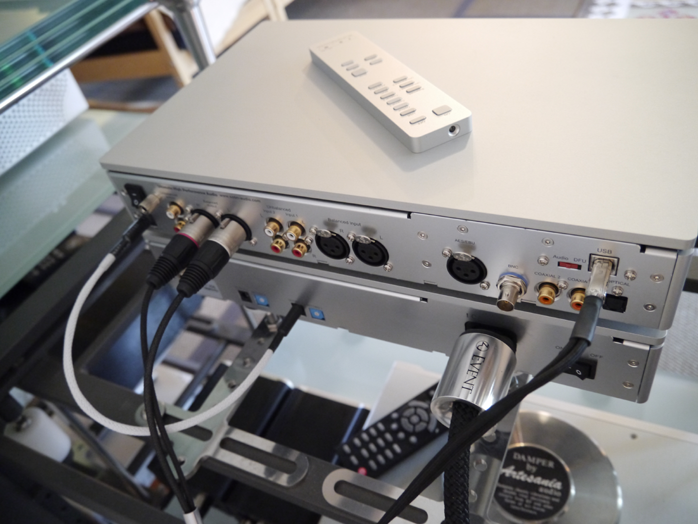 "The below photo shows a pre-production version of his upcoming new battery-powered sDP-1000 DAC/pre. Incidentally and like you had done before, Mr. Lee asserted that the digital AES/EBU interface is superior to S/PDIF. He in fact custom builds AES/EBU cables using XLR connectors of his choice with pure silver wire." 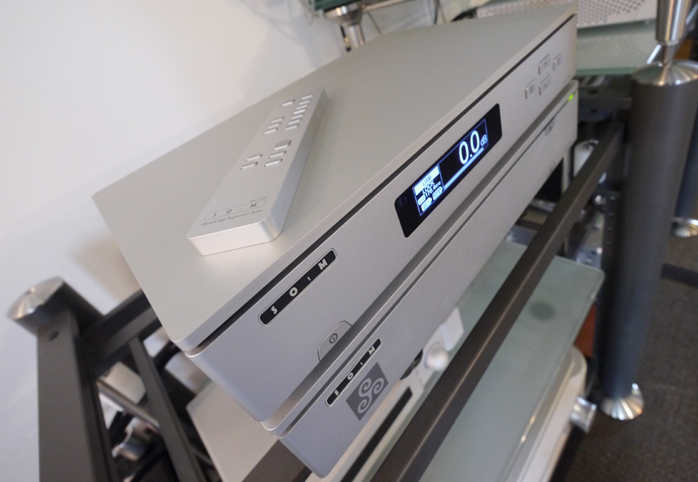 Housed in a 36 x 24 x 6.8cm WxDxH casing to match their sMS-1000 music server (SOtM is short for Soul Of the Music) the sDP-1000 is a 24/192 DAC with DSD64 support and 0.5dB-step remote-controlled volume. That makes it a digital preamp like AURALiC's Vega. Hello AES/EBU, BNC, coax, Toslink and USB 2.0. 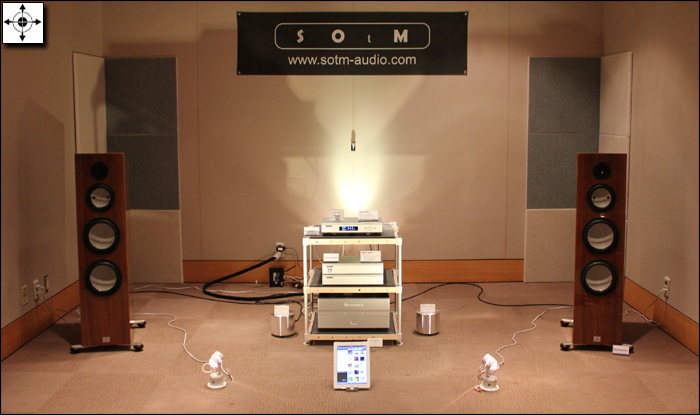 Where SOtM goes the extra preamp mile is with its 1:2 analog XLR:RCA inputs. There's also an onboard twin-pack battery supply with uninterruptible power cycling plus fully automated charging to assure constant play. Finally there are "ultra low-noise regulators, high-performance oscillators, ultra-low jitter clocks and active noise cancellation". The display spans from -75.00dB at full attenuation (on the 35dB Job 225 amp this didn't mean zero output nor did the actual mute command*) to +10dB of active gain. Output voltage at 0dB or unity gain is 3.8Vrms on both RCA and XLR. Max input voltage for all analog inputs is 4Vrms. * "When we designed the unit, we did this on purpose to act as minimum volume. For full mute we can modify the software and send it to you." 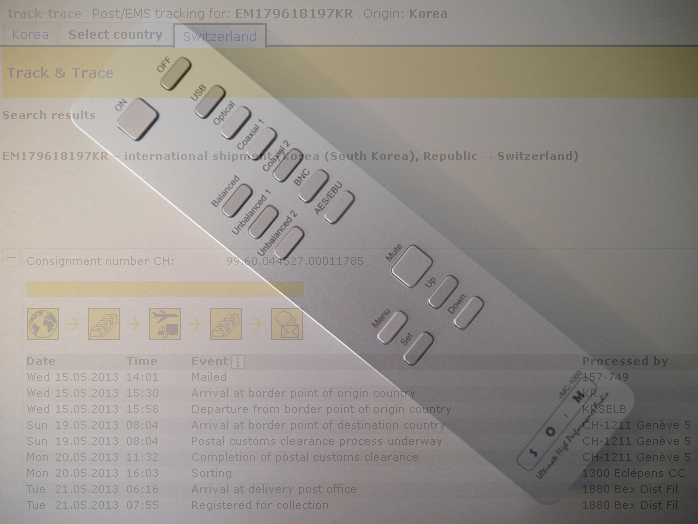 Shipping from Korea to Switzerland took one week by international post. To appropriate from my Vega review, if SOtM's subtext had escaped your attention, it's good riddance preamps! 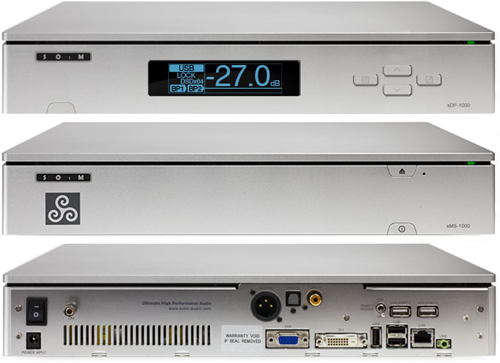 The sDP-1000 means to become your link between magnetic/optical digital transport plus whatever analog sources you might have left; and power amp/s. Vintage 'philes could protest. First the modernization police had lobbied them hard against their treasured LP and CD players. Now the same swines would have them dump their beloved exotic line stages with gleaming triodes and outboard power supplies in favor of a volume-controlled converter. This stack is a good-looking not entirely full-width affair. Aren't digital controls evil? Don't DACs lack proper grunt to be allowed anywhere near amplifiers? Wasn't this just another fashionable ploy only greenhorns would buy into? Or could it really be 21st-century smarts that netted better sound for less coin and lower complexity? That's what I meant to find out.